Tomorrow is a HUGE day for me. Why? Well, thank you for asking! Tomorrow is June 25 . . . exactly six months until Christmas. That means I've been sticking to my goal of making all my girls' Christmas gifts for almost six whole months, and I have six months left to go to complete my goal. This is a big deal because I have a short attention span and typically can't stick to anything for too long. So yay for me! (I'm patting myself on the back right now.) It's also a big deal because in six months of sewing and crafting, I've gone from saying, "Oh, I could never make that," to "Hey, I think I can make that!" To celebrate I made myself something tonight - well, two somethings. One something in preparation for July 4 and one something for everyday. Yep, that's it! Sweet! This is sort of my festive 4th of July wrap - love the bright blue, red and white mixed with the other colors. It reminds me a bit of fireworks. You could simply use blue and red ribbon or white and red or . . . well, you get the point. 1) Pin the ribbons wrong sides together. 3) Starting about 1 inch up from one end fold over a small bit of the ribbon. Pin. Continue this all the way to the opposite end - leaving another inch on this end. I have to say that I've been wearing one of these all night and it is so comfortable. Usually I can only wear something like this for an hour before I start to get really annoyed with it and start itching my head like a crazy woman. Out in public people avoid me. Thankfully, I will be able to wear these out in public without scaring passersby. So this is my little half-way gift to myself! Way to go self! And I guess this tutorial is a little gift to those of you who actually care about my little goal. Thanks for coming along for the ride! and I've stayed for quite awhile. I've been reading through and admiring your work..and I've now become a follower. I really like your blog and the way you write..I'm so very proud I found your site. Come visit when you can..and have a lovely weekend. Aww, how cute! I would totally rock that little headband! Found you over at Frugal Friday. Very nice to "meet" you, Elizabeth : ). Hope you have a wonderful weekend. very cool!! I know 3 little girls getting these as stocking stuffers this year! But I don't think my ribbon stash has anything appropriate in it at the moment... might have to add ribbon to my shopping list! Your double-sided ribbon is so festive! I'm ashamed to admit that I just bought pre-sewed pleated ribbon - but I suppose I'll have to make my own next time!! the headbands are a great idea - thanks! Cute cute - my first time to your blog and I think it's darling! Oh how I love Christmas!! I love that your blog is about Christmas stuff!!! These headbands are so cute. I may have to try and make a few!! Congrats!!! I too have vowed to make all of the gifts we give this year. I have had so much fun planning what to make and then actually making it. I have been busy with birthday presents up to this point and I need to start on my Christmas gifts. Keep up the good work! I love your new headbands. I love being able to make something cheaper than buying something at the store! Very cute! I have been making headbands lately and need to try your method. I really like the ruffle. Cute head wrap and soooo easy. Thanks for the inst. Oh my goodness, this is seriously Fabulous!! I would love it so much if you would add this to post to this week's Sharing Time Link Up! SO cute. I will be making some of these! That is super cute! I love the ruffles in the middle! These are absolutely darling! Terrific tutorial, too. Okay, okay, okay - I've been promising to make something like this for myself for the longest time...must get my act together and find time!! This is completely awesome!!! Thanks for sharing!! So excited that I saw this. Adorable. I am making some tomorrow. You did make this woman! And thank you for sharing how. And congrats on making it half way to your goal. Is it really 6 months away already. Wow! Thanks for always linking up at TT. I always love seeing your projects. I love how your headbands turned out! Pleats are my new favorite thing! Very cute and creative! 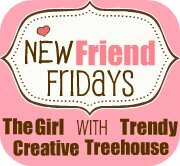 Thanks for linking up to this week's It's Party Time Thursday @PonyTails&FishScales! Super cute! My daughter loves headbands. Going to have to try this one! adorable!! I would love this for myself...oh and my daughter! Thanks for sharing this tutorial Elizabeth - I initially found you via a link in the Craft Gossip newsletter for your guest spot on Fireflies and Jellybeans. With 3 daughters and an excess of ribbons, I am going to attempt to create some of these gorgeous headbands as stocking stuffers (and to keep in our gift box for parties!). I now have another crafty use for my many ribbons, and an excuse to buy more!! This is the CUTEST.. I love!! Well, Christmas may be over, but I've bookmarked you to help me with my goal of handmaking all gifts that our family gives away this year! I just finished making a few of your headbands for my daughter to take to a birthday party tomorrow night - they're adorable, and now both of my girls want some of their own! Thanks for sharing all of your wonderful talents with us!